What Checkvist Triggers and Actions are Supported? New List - Triggers when a new list is created in your Checkvist account. New List Item - Triggers when a new list item is created in a chosen list. 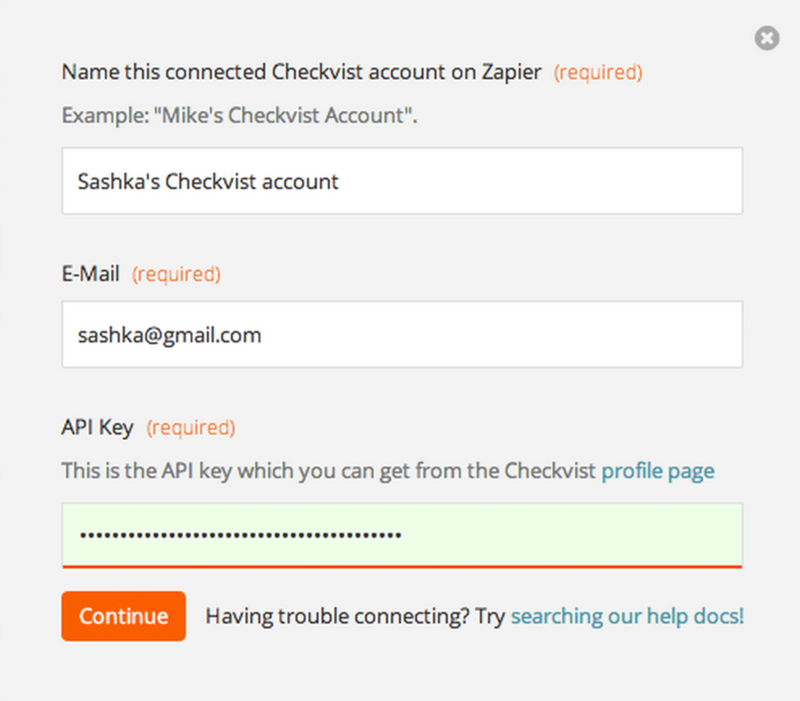 You can set any name to this Account to easily recognize it within Zapier or distinguish between different accounts. But it's only for your convenience. You can just as well leave the default name. The authorisation is performed by the email and API key, so those two fields are really important. 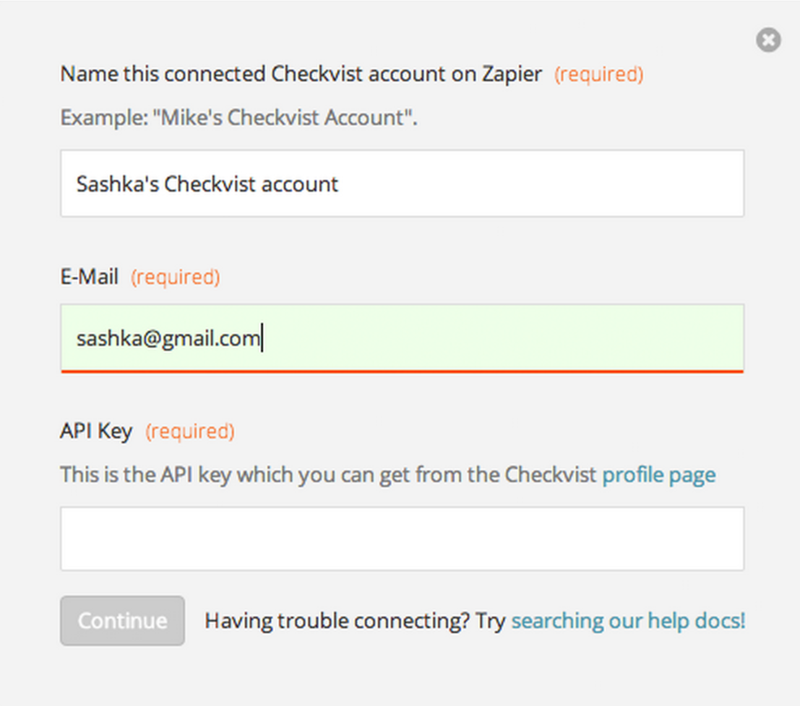 Please, use the very email you've registered with in Checkvist (not Zapier). 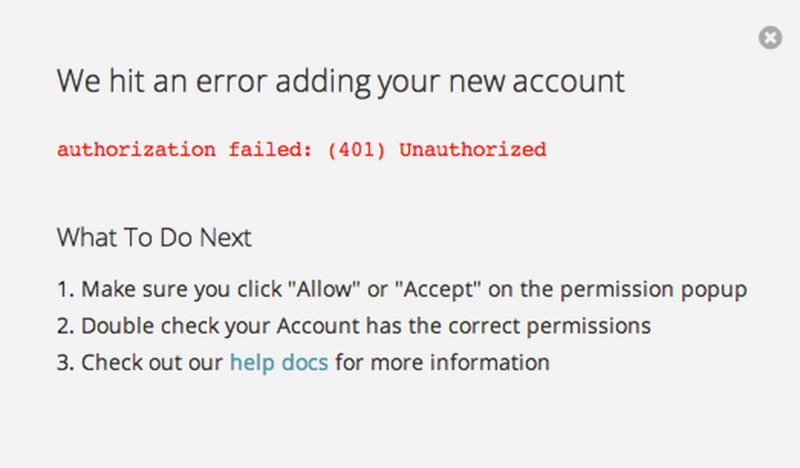 If there was a mistake in either email or API key, we'll show you the error, so you could correct it.